Rowboat & Two Figures, 15th Century is a 1/87 kit from Artitec. It is kit 10.334. This is a multi-media kit with resin, styrene, and photo-etch parts, and includes rigging material for the mast. Artitec kits consist of resin and etched metal components. In the box, you will find resin castings. This material sometimes needs to be sanded or trimmed so we recommend keeping a sharp scalpel and some sandpaper to hand. Resin is not coloured and can be painted with Humbrol enamel or acrylic paint. The small details are made of etched metal. 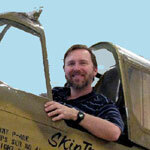 Artitec was founded by modelers and their passion for the hobby is obvious. Let's look at what they have launched. The buff resin parts are firmly attached to pour blocks (except for two parts - the two seat planks). Casting is crisp and without bubbles. The figures are covered in whisper-thin flash that is very easy to remove. The oars are sharply etched. Despite the mast and rigging, no mention of a sail is included. Lapstrake planking is nicely reproduced for the exterior of the hard chine hull. Fine nail detail is cast on. Inside is the breasthook, stringers, and other framing. Hardware for the oars and the rudder are cast into the 1-piece hull. Each figure is cast wearing the finest in 15-century seagoing garb. They even have subtle facial features. Simple clean clear line art. Drill sizes for rigging and mast holes are provided. Parts are keyed to paint colors. Eleven Humbrol paints are referenced. Artitec even includes directions on creating a stain over the base coat. Artitec's Rowboat & Two Figures, 15th Century is a sharp and well detailed kit of a unique subject. It features crisp casting, high detail, and sharp photo-etch oars. It is a simple kit that should be fun to build and paint. I suspect that it can fit in with dioramas set later than the 15th century. As the boat has a mast and rigging I presume it could raise a sail and yet there is no detail about the sail. I like this simple unique kit and think that this HO scale boat can stand (float) on its own or in a diorama. Recommend. Highs: Crisp casting, high detail, sharp photo-etch. Lows: No information about a sail. Verdict: A sharp and well detailed kit of a unique boat subject that can stand (float) on its own or in a diorama. No idea how I might use this offbeat subject in an unusual (at least for us ship types) scale... but this cool little rowboat is tempting! It is always fun to see ship model products outside the usual steel navy world. Thanks for posting this, Frederick. Hi Tim, I've contemplated that it could be suitable for several scales; it could even hold 1/48 I suspect - couldn't be any smaller in that scale than my friend's Sunfish sailboat, or an auk.